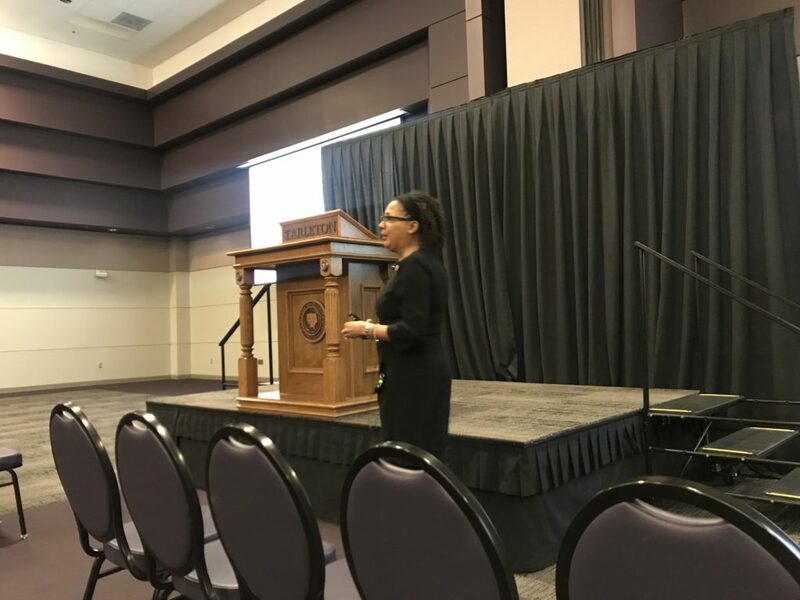 The Psychological Sciences and Educator Preparation Services hosted their second annual survivor speaker series event in the TSU Ballrooms on Sunday March 3rd. “The intentions behind our event are to educate people about important historical aspects that can be related to Psychology,” Dr. Jamie Borchardt, head of the Psychological Sciences Department, said. The first speaker series event was celebrated during the spring of 2018 and featured Mr. Max Glauben, a Holocaust survivor. “He shared a very emotional and impactful story that left us feeling that we needed to educate others so that this would never happen again,” Dr. Borchardt declared. 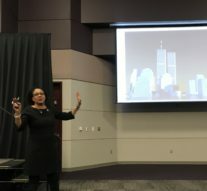 The idea of a survivor speaker series came up when Dr. Amber Bozer and Dr. Borchardt were referred to a summer speaker event at the Dallas Holocaust Museum. They had the opportunity to hear a first-hand account of a survivor’s story. “Dr. Bozer mentioned that we should see about bringing Mr. Glauben to campus, and we began planning,” Dr. Borchardt said. Dr. Amber Bozer and Dr. Borchardt believe it’s important for people to hear about this type of personal experiences that can change one’s perspective of life. “It makes the historical event feel more personal and real,” Dr. Borchardt said. Another good reason to support the survivor speaker series is that all the funds go directly to support students. This year, they will help cover costs associated with certification exams and the Southwestern Psychological Association conference. “In addition to educating our community and University, this supports our students directly, which is a great opportunity to give back,” Dr. Borchardt concluded. 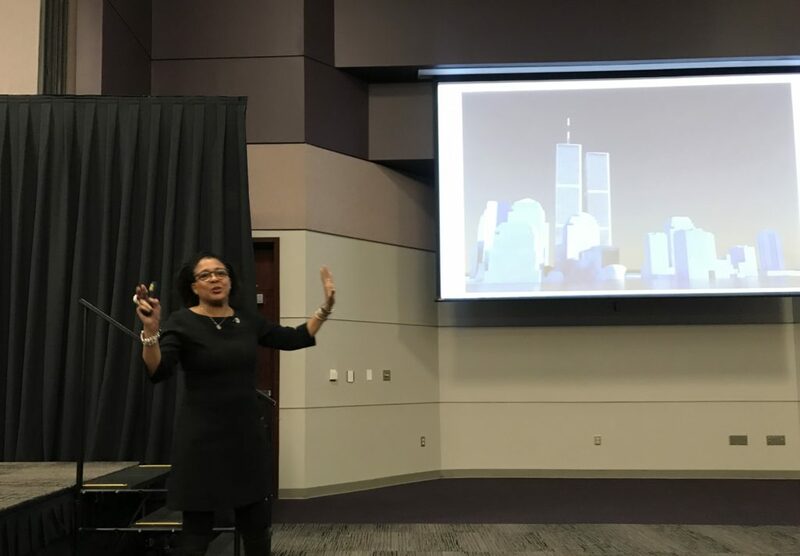 The second annual speaker series presented the testimony of Kristin Singleton-Ferrari, a witness to the terrorist attack that took place in New York City the morning of September 11, 2001. Ferrari was scheduled to have an interview on the 106th floor of Tower I. “I canceled the interview. I think it was fated. It’s what brought me here today. It was this fate that made me became a tour guide,” Ferrari said. Ferrari spoke directly to the audience’s hearts, shared her memories, and explained the beautiful transformation NYC has experienced. “The events of September 11th changed the lives of millions. An experience like this teaches you resilience, it teaches you to respect time, appreciate the way of life that you have. It’s a good way to appreciate freedom,” Ferrari said. Ferrari has become a full-time tour guide in NYC and every day she brings people in to visit the new World Trade Center. “The beautiful thing about tragedies is that we come together as citizens of the world,” Ferrari added. Over three-thousand people died during the 9/11 and many others suffer from respiratory problems and cancer as a consequence of the attack. However, the last messages sent by the people on board the planes weren’t a call for revenge; they were all messages of love. The victims have left a wonderful legacy behind—they brought the world together and proved love is always stronger. “We have to keep striving and say okay terrorism I’m still living,” Ferrari concluded.